It’s audacious, it’s provocative, it’s unconventional, and it’s the new MUST HAVE accessories! If you’re looking for an outstanding timepiece with daring details to fit your lifestyle, a BOMBERG watch is what you need. In an exclusive media preview held at Providence KL, BOMBERG celebrated its launch in Malaysia by unveiling their BOLT-68 collection. According to BOMBERG CEO Giancarlo Mantuano that while BOMBERG was only launched in 2012 it has successfully cultivated a loyal fan base that enjoys the nonconformist nature of the Brand. “We made the exciting decision to expand to Malaysia as we are aware that watch lovers here are trendsetters, who appreciate the details that makes a great timepiece. We have decided to launch BOMBERG with its BOLT-68 collection, because we feel it represents the essence of our brand – reinterpreting the traditional wrist watch,” he adds. The BOLT-68 collection was launched in 2014, and was aptly named to represent the brand’s entire DNA. The number 68 references one of the most significant years of the 20th Century ushering in new social parameters and changes. BOLT-68 highlights the strong and functional strength of the watch design. The paradox of this collection is that it’s stylish and bold, twisted and relevant, rebellious yet totally uncompliant with Swiss watch standards. 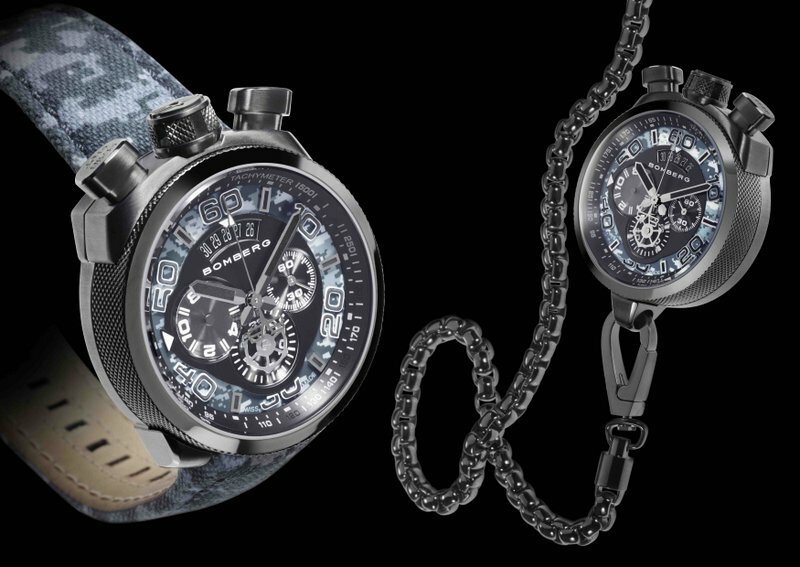 The BOLT-68 collection consists of 18 statement pieces imposing its own rules on the traditional world of watch-making. With each stainless steel casing it features a technical novelty where the buttons and the crown are placed at 12 o’clock. The timepieces are dual functional with a bayonet system that separate the case to the strap, to be attached to robust medallions and oversized links in order to become a trendy pocket watch. With its immaculate and flawless visual presentation, this timepiece reaches new levels of chic avant-garde for rebellious go-getter. BOMBERG Chairman Rick De La Croix had a vision to create and establish a longstanding watch brand with international exposure, creating a new and uncontested market space rather than competing in an existing one. He conceptualised a brand that sees beyond focusing on competitors, but rather concentrates on the needs and desires of its target community. At the media preview, many local celebrities and fashionistas including Peter Davis, Joe Flizzow, Roen Nagapan, Carey Ng and Sarah Lian were spotted wearing these statement timepieces from the BOLT-68 collection. The well-designed standout watches made their outfits on point. To own your BOMBERG visit the following Watatime outlets: Pavilion Shopping Mall, KLCC Shopping Mall, MidValley Megamall, 1 Utama Shopping Centre, Sungai Wang Plaza, Sunway Pyramid Shopping Mall, Subang Parade, Mahkota Parade, IOI City Mall and Kinta City Shopping Centre. This entry was posted in News and tagged bomberg, luxury, time, watatime, watch by TheGoodGoodGuy. Bookmark the permalink.